Since my initial contacts with the clinic, I have been most positively impressed with Modern Hearing and Chad’s skills both professionally and personally. He is always pleasant, warm and cordial in his greeting. He is knowledgeable and skilled professionally. I've always been met on time and he makes me feel completely at ease. I would highly recommend him. I’ve experienced excellent service, I’d even say outstanding! This is my first experience with getting a hearing aid, and I’m very happy with my ReSound hearing aid. I’ve returned a few times for adjustments and each time I’ve received good service. 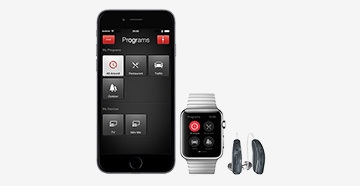 I’ve told three friends about my hearing aid and how satisfied I’ve been with Modern Hearing. Hopefully they will be just as happy as I’ve been. From the first day I put on my hearing aids at Chad’s office, I have only taken them out at bedtime or to shower. They have given me a whole new outlook on life. Now I join in on conversations and actually hear what is being said. I didn’t realize just what I was not hearing. My advice is to put them on, give yourself time to adjust and to think positive. They won’t help sitting in a drawer. When I went for a hearing test, I was sure it was just my left ear that was losing hearing. Much to my surprise, it was both ears. My hearing aids have been in both ears since the day I received them. There are some adjustments you have to make, but I was determined. I am so glad I have these hearing aids now. It is very nice to not have friends repeating everything to me. Hearing is a very important part of life, don’t hesitate just do it. I have been very satisfied with the hearing aids I purchased at Modern Hearing. The service is also superb. The only problems I have had have been caused by myself and Chad has taken care of them immediately. He also cleans them and replaces filters periodically at no charge. It would be hard to live without my hearing aids. 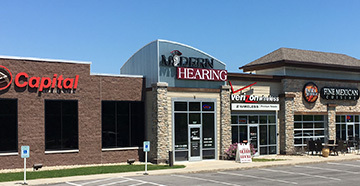 If you have hearing problems I would highly recommend Modern Hearing! 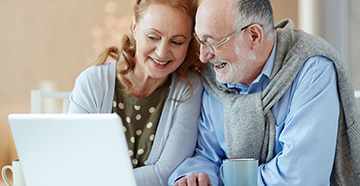 I would love to have the excellent hearing I had as a child, but my hearing aids and the service I receive at Modern Hearing are a great improvement for this aging senior citizen. I am very pleased and have told many friends of my successful experience with my hearing aids.